Stock # A334, ELECTRIC, 1-Speed Automatic, 10514 mi. 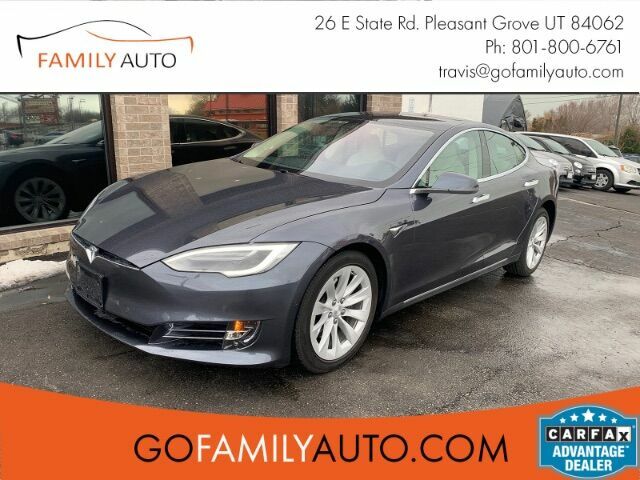 CarFax CERTIFIED Clean Title on this STUNNING AWD 2018 Tesla Model S 100d. This gray 100d is ready to take your family where you need to be, loaded with Navigation, Leather, Heated Seats, Back Up camera, Remote Start, Full Glass Roof, Enhanced AutoPilot (V2), Summon, Air Suspension, 335 mile range, Premium Leather Interior, COLD WEATHER PACKAGE (rear heated seats/steering wheel/wipers), Power Lift Gate and SO MUCH MORE! This non-smoker has passed all inspections and is ready for immediate delivery. www.GoFamilyAuto.com 801-800-6761. We are affiliated with most lenders and have rates as low as 3.99% OAC. YES!!! You get the balance of manufacturer warranties. Extended warranties are available. Family Auto strives to provide accurate vehicle information, from time to time we may miss a feature or include one erroneously. Please don''t hesitate to confirm a specific feature.